With the opening of the financial markets in China, trading firms from around the world are increasingly interested in the these markets. While the volumes at the three commodity exchanges in Dalian, Shanghai, and Zhengzhou dropped to 470 million lots in the first six months of 2011, compared to 762 million in the same period in 2010, trading opportunities in the world’s biggest commodity markets are plentiful. Our distinguished speakers will not only share their knowledge about the Chinese market structure, the participants and trading opportunities, but equally important, they will explain how to capture those opportunities in a jungle of regulations, cultural differences and technological challenges. How to access China successfully. This webinar is free to attend. Please feel free to send this invitation to interested colleagues. *If this timing does not work for you, please still register for the webinar. A recording will be made available to all who register. 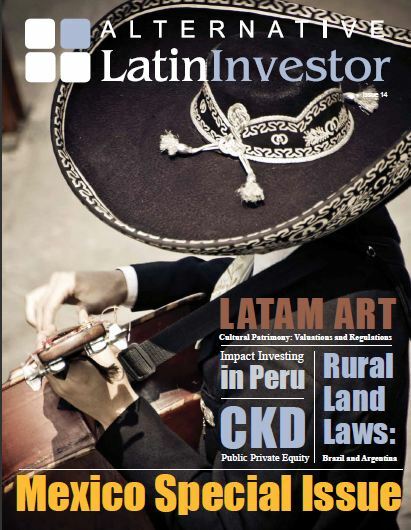 BUENOS AIRES, June 16 – Argentina attracted 40% of all Chinese investments in the Latin American region in the last twelve months – June 2010 to May 2011 – and prospects remain “optimistic”. A report from U.S Deloitte investment company said Argentina attracted US$15.6 billion up 286% over the previous twelve months, which were concentrated mainly in energy and natural resources – US$14bn equivalent to 71% of the total amount. In the last twelve months eight major operations involving Chinese investments in Latin America were reported, mostly by Sinopec one of the world’s leading oil corporations that purchased Repsol-YPF-Brazil and Occidental in Argentina for US$9.6bn. Another major player was China National Offshore Oil Corporation (CNOOC) which invested US$3.1bn in Argentina when it took over 50% of Bridas Corporation in May 2010. Bridas later acquired Pan American Energy for US$7bn in Nov 2010 and Exxon Mobile Argentina for US$700 million last March. In the same period Chinese corporations were involved in 91 world operations totalling US$43.6bn. Energy and natural resources are the target of Chinese groups and this explains why Argentina and Brazil leads points out the report, but looking ahead it forecasts that prospects for other areas such manufacturing, agriculture, infrastructure, finances are ‘optimistic’. China is searching strategic niches for its growing domestic demand and consolidation as a world power and in this context, “Latin America becomes therefore a potential partner since it has the abundant resources and food China needs”, the report said.